A subsidiary of the fifth-largest supermarket chain in the United States; Southeastern Grocers – Winn Dixie has been around since 1925. There are over 518 grocery stores all over Alabama, Florida, Mississippi, Georgia and Louisiana employing more than 48,000 associates. Winn Dixie is successful in the business because it meets the demands of the growing marketplace through its values and teamwork. With groceries, liquor stores and in-store pharmacies, Winn Dixie provides the customer’s needs. This now includes their catering service which uses not only the freshest ingredients but also prioritizing local produce whenever possible. There is a strong sense of community with Winn Dixie; they are closely involved with the community and supports Feeding America food banks. They also have a seafood sustainability pledge, where they work together with World Wildlife Fund for sustainable fisheries, Global Aquaculture Alliance to make sure their suppliers do Best Aquaculture Practice (BAP). A nice dinner for the family or food for entertaining, Winn Dixie can provide it for you. Nothing can beat the taste of fresh food and the comfort in knowing that it is sourced from local farms. Getting a scrumptious meal ready for your event from your local supermarket is so convenient. You don’t have to worry about where to get your food for a business meeting, or a party when you have selections from Winn Dixie. They even have birthday cakes for children’s parties. Winn Dixie has several types of deli platters for you to choose from their sandwiches and wraps, delicious meats and cheeses, and their tender chicken platter. They also have a cookie or cake dessert platter. Ordering is easy. You just have to go to their website. Put in your location to be directed to the branches near you. Next, pick from their selections in the Deli department and put it in the order form from their site. There are several options either from the deli bakery, seafood, dessert or produce platters. Just pick the size you want and put in how many platters you need. Ordering should be done twenty-four hours ahead of time in order to be sure your orders are available. Some items might be seasonal; such as the holiday dinners of either turkey or ham with dinner rolls and casseroles good for 6-8 people for $40 to $46. Pick-up of orders can be done as soon as your order is ready. 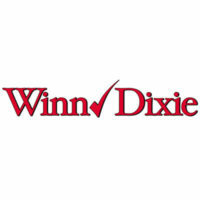 Be sure to contact the nearest Winn Dixie store for their store hours, some are open 24 hours. There are options in the deli platter for a medium order, there’s the cheese nibbler, chicken tenders, finger sandwiches, nibbler supreme and wingin it for a price of around $25-$35 each. There is also a mix and match platter for dessert with 12 pcs below $15 and 24 pieces around $24. For larger platters, the deli platters cost around $27-$50 depending on the type you are getting. You can get in the produce section an apple and cheese tray for around $15. They also have fruit or veggie tray prices similarly. There is also an option of a seafood platter for $30 to $40. You can choose from Alaskan Snowleg Surimi, Extra-large shrimp or Shrimp and Surimi. You can put in some notes if you need to give further instructions. Doing entertaining in your home or conducting a party is easier with these options made available by Winn Dixie. The price is very reasonable considering you are getting top notch quality food sourced from local producers.